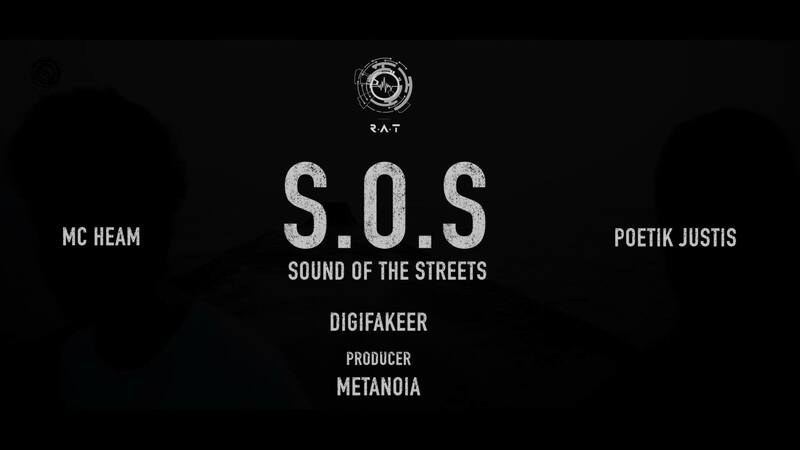 Mumbai-based production house Revolt Art Technology is coming out with Sound of the Streets (S.O.S.) hosted by MC Heam and Poetik Justis. The music podcast will explore different genres with hip-hop being the main focus. Currently, they have dropped their S.O.S. anthem featuring the hosts of the show. S.O.S. anthem has an inspiring beat produced by Metanoia. The vibe of the video paints a clear picture of the spirit behind this project. Entire R.A.T. team is putting up an engaging audio podcast for all music enthusiasts in the country. Hosts Poetik and Heam have laid beautiful verses on this anthem track. The video sees SlumGods school kids distributing the flyers of S.O.S. podcast across different places. Sticking bills across the city, the kids can be seen enthusiastically running around with a big smile on their face. Visually it’s a very appealing video put well musically. Certainly, one of the most spirited music videos to come out this year. S.O.S. will be played on the radio channel Bolly 102.9 FM in Washington DC. For all updates about S.O.S. stay with us, Desi Hip Hop will keep you updated.